frenchboy: Soon to be replaced with a new GC Number. 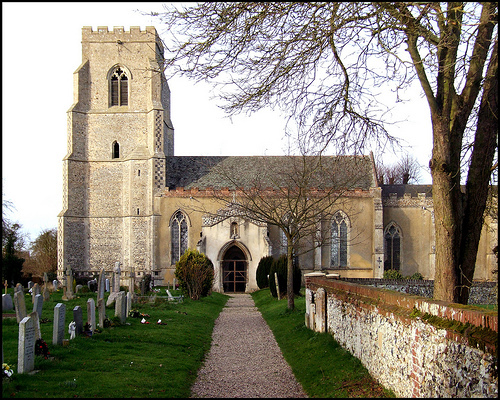 This church is surprisingly large for such a small village, and enjoys a lovely setting in the Suffolk landscape. Please read the description below before setting out. You are looking for a 35mm film canister. Beside its splendid 18th century rectory rises the great edifice of St Mary, Buxhall. In a county of Perpendicular glory, St Mary is a Decorated jewel, rebuilt in the early 14th century at the height of medieval confidence. The tower is slightly earlier, and as grand as they come at 95 feet in height. It contains six bells. Brick battlements on the nave add a touch of the exotic, and the east end of the chancel is turretted in a fancy way. On one of the buttresses on the south side is a cross picked out in flint. This seems to be intended as one of the consecration crosses from the 14th century rebuilding. Inside, the nave is interesting, mainly because of the benches, which are all hand carved in oak. They were the work of Agnes Hill, daughter of Henry Hill. The benches were made with oak from the Hills' Buxhall estate, and bear the Copinger Hill arms. The Copinger Hills were a remarkable local family. 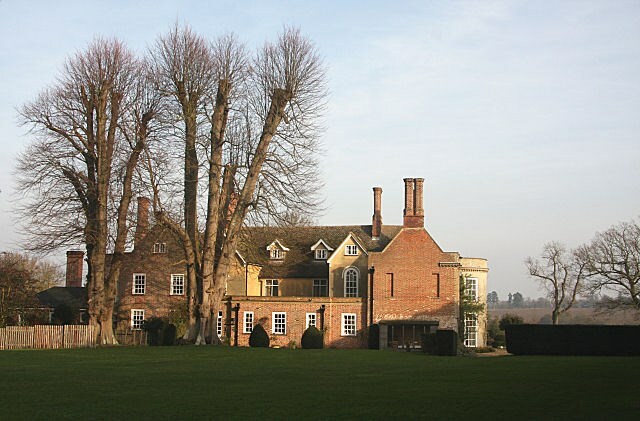 They were closely associated with the church over the course of six centuries, as Lords of the Manor and as Rectors. They provided Rectors throughout the 18th and 19th centuries, and well into the 20th. Their name is found again and again, on memorials and dedications, throughout this church. They provide a vivid explanation of why the adjacent Rectory is just so grand. A plaque records the death of the last of the male line in 1973. The above images are from, and the text contains excerpts from Simon Knott's excellent website www.suffolkchurches.co.uk , with grateful thanks. If anyone would like to expand this Church Micro numbered series please do. Please contact sadexploration via www.geocaching.com so that he can keep track of the church numbers and names to avoid duplication.